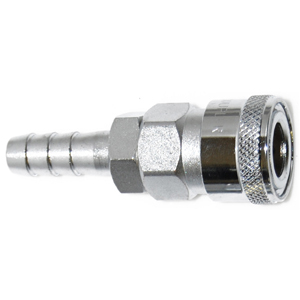 STANDARD AIR LINE COUPLER Material: Chrome Plated Steel Body For Anti-Corrosion. Working Pressure: 15kgf/cm² Maximum Pressure: 20kgf/cm² Thread Size:	3/8 Applications  Pneumatic Tools  Air Piping  Air Pressure Equipment Features  One-way automatic shut-off valve in socket.  Hardened important parts are extremely wear resistant and durable.